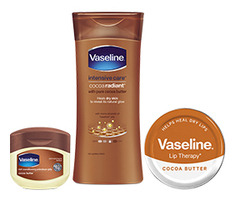 With pure cocoa butter, moisturizes to help heal dry skin to reveal its natural glow. So Moisturizing and Great Smell! 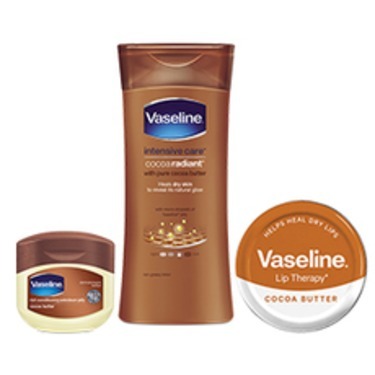 My skin runs dry so I need a moisturizer that will really keep my skin hydrated. 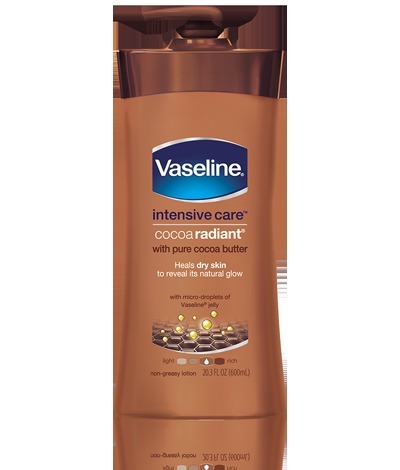 I love the Vaseline Intensive care line because when I put the cream on after my shower I still feel moisturized hours later. It doesn't feel overtly greasy and absorbs into my skin. I also love the light cocoa scent which reminds me of being on the beach. 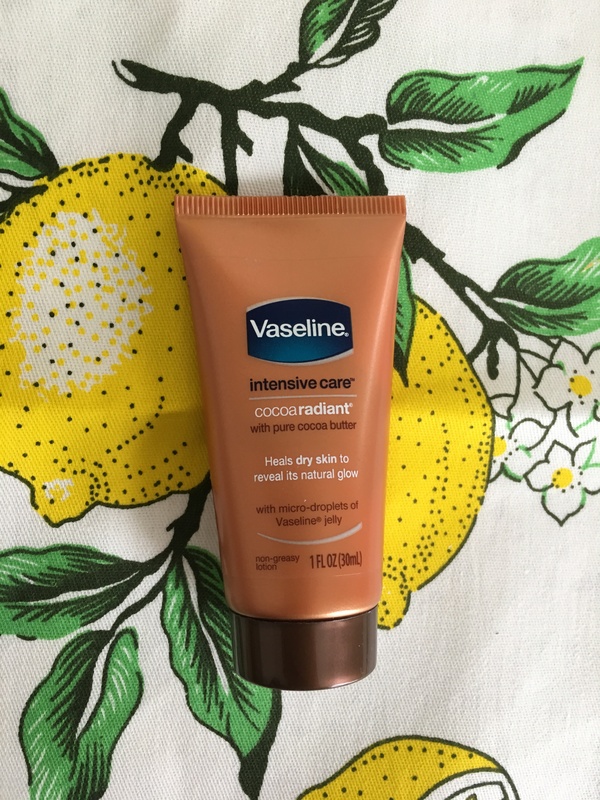 This is my go-to every day moisturizer and I love it. I definitely will buy again. I love the smell for one....I love the way it doesn't feel so oily after u apply it anywhere....everywhere lol love love love!! 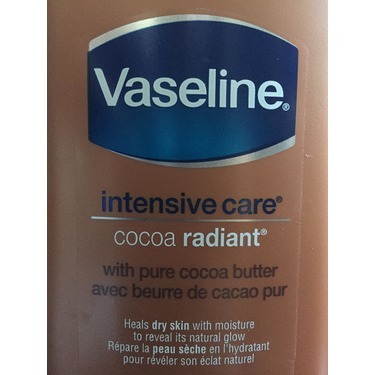 I'm hooked and am changing to this lotion. I love the fragrance, and how it fare on my skin. It provides enough moisture and keeps the skin well-hydrated all day long. With consistent usage it even helps fading the stretch marks. This is one of my favourite body lotions. 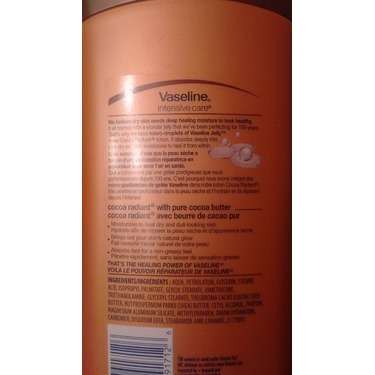 It has a great texture and provides all day moisture. 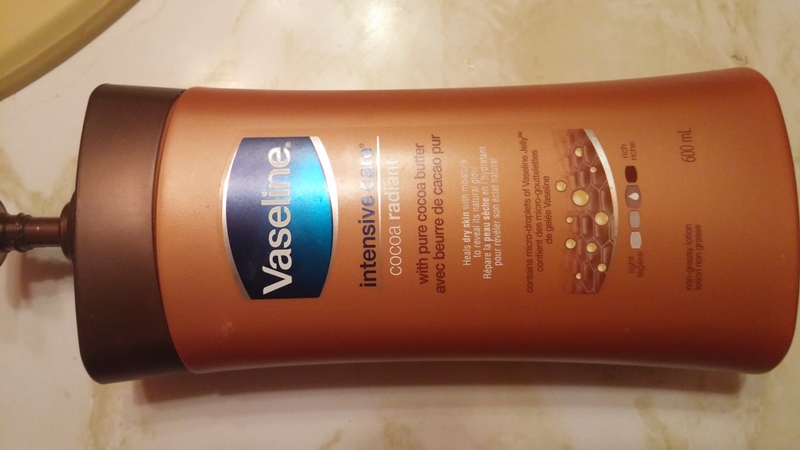 I prefer using this particular lotion in the winter because I find it really keeps my dry skin at bay and has a great scent. 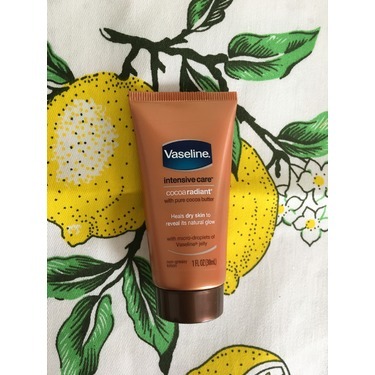 In the summer I always prefer to use the vaseline aloe lotion with the spf because having the sun protection built in is so helpful. 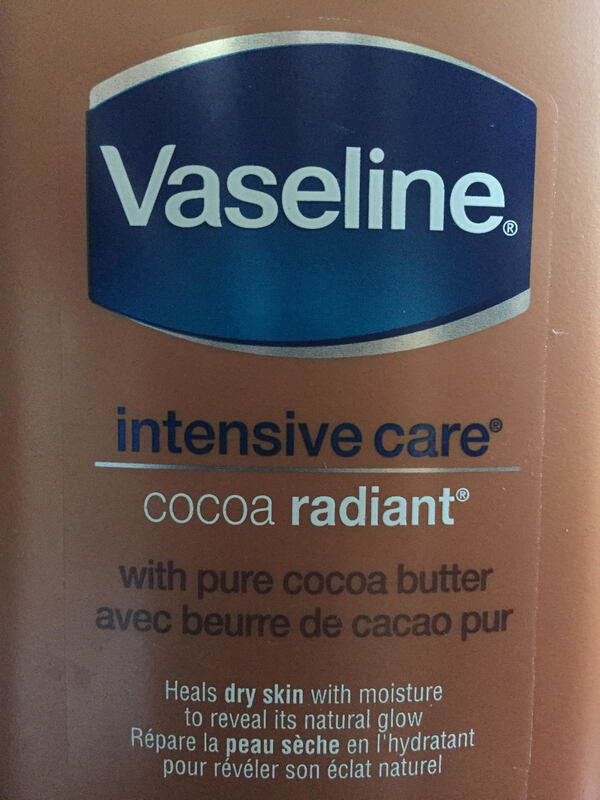 I am obsessed with Vaseline Intensive Care Cocoa Lotion. It does wonders to my skin. As soon as I come close to finishing a bottle, I immediately buy a next because I can't go a day without using it. 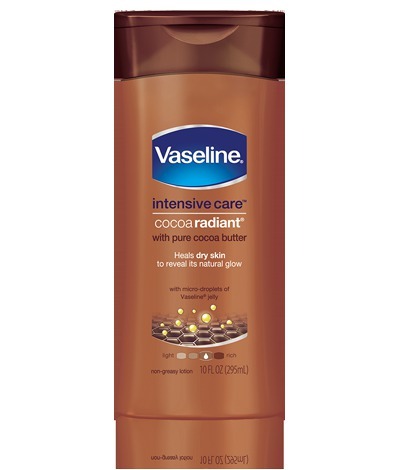 I apply this on my entire body (face included) after showering. 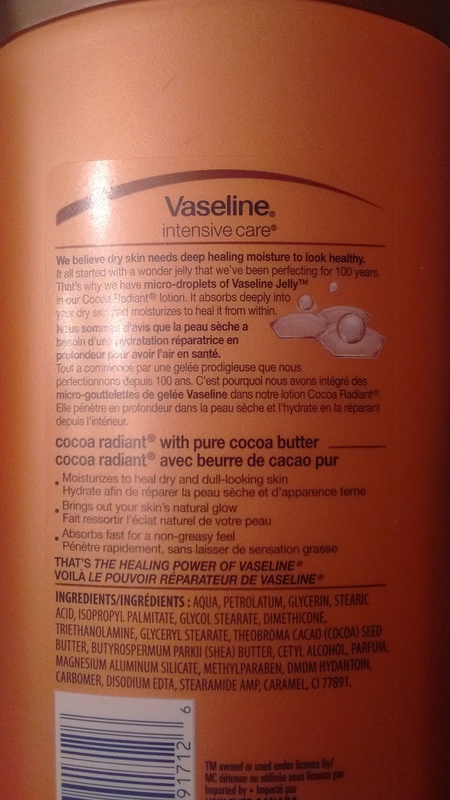 I love how moisturizing it is, even with my sensitive skin (face). I will continue to use this lotion for a very very long time. In my opinion, it's the best one out there! This is a staple in my house! I absolutely adore this lotion. I have been a loyal user since it came out! I love the smell and the feeling it leaves on your skin. 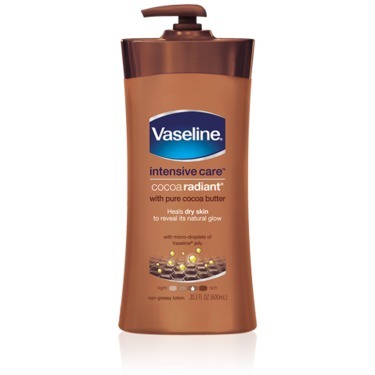 It's a thinner lotion that doesn't leave a thick film or leave you feeling greasy. 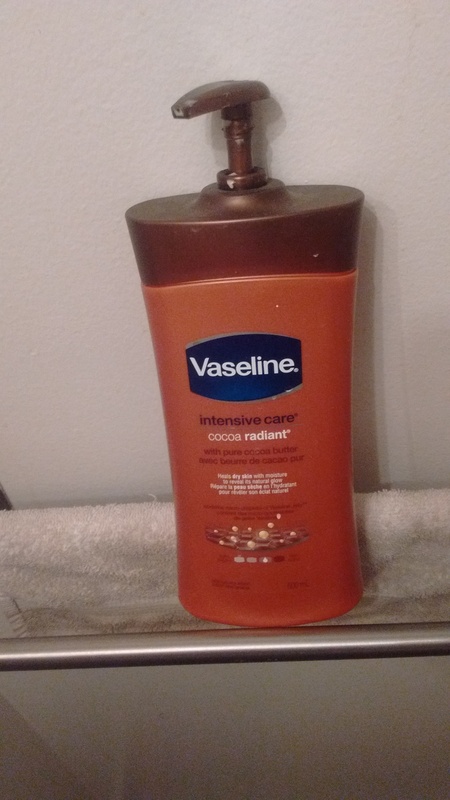 It keeps my skin moisturized and smelling fresh! 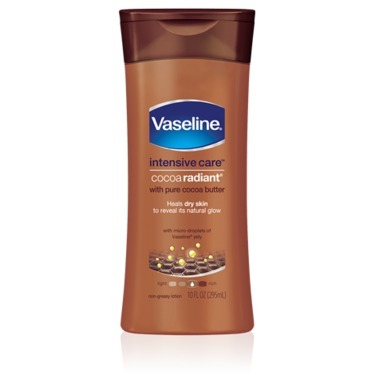 I love this product Vaseline intensive care cocoa radient. 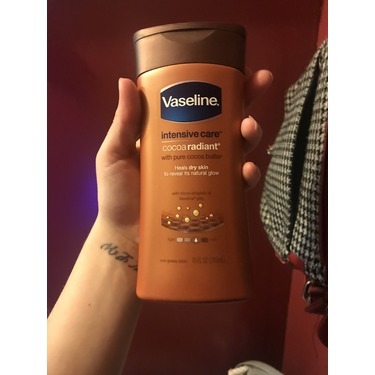 It absorbs quickly and doesn't leave a greasy feel, it has a nice smell not to over powering at all very mild smell, I use this after my shower and bath especially with how hard winter is here in Northern Canada it keep my skin soft and gives me a healthy glow. got this in my stocking at christmas and it is awesome! 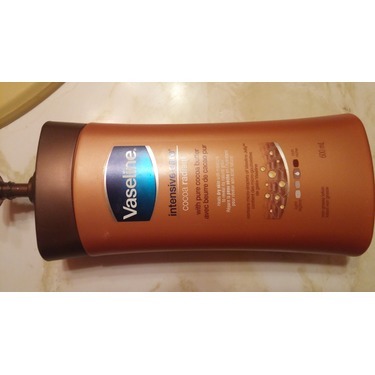 i have been raving about it to everyone including my husband who is usually anti-hand lotion. Will be buying again! This product is convenient with the pump that it has. 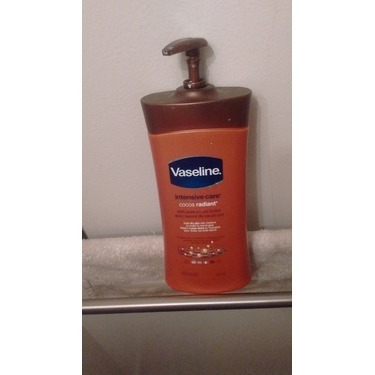 The product has a very pleasing smell and doesn’t leave your body feeling greasy. Effectively moisturises my body and leaves me with soft and glowing skin! I love this lotion! It smells amazing and it works so good. 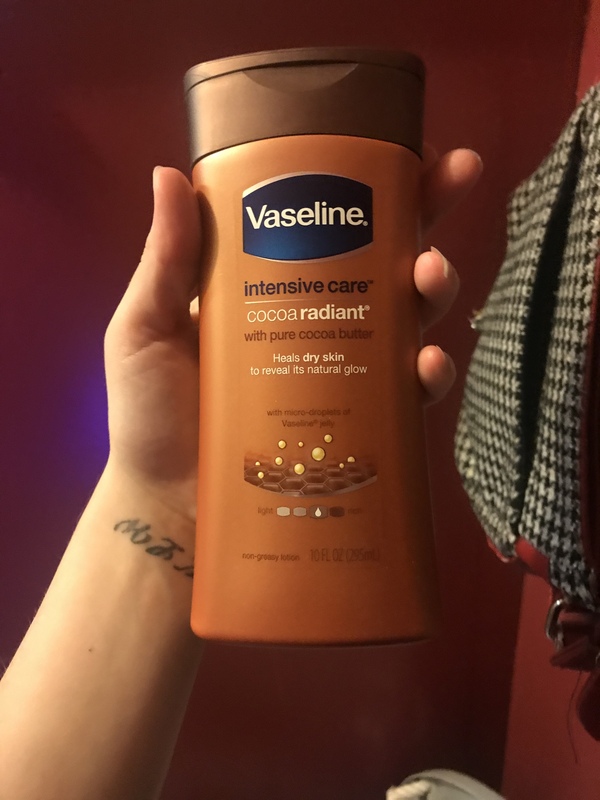 my skin gets very dry in the winter and sometimes dried out in the summer as well and this lotion works awesome, leaving your skin refreshed and soft. It's definitely one of my favs.